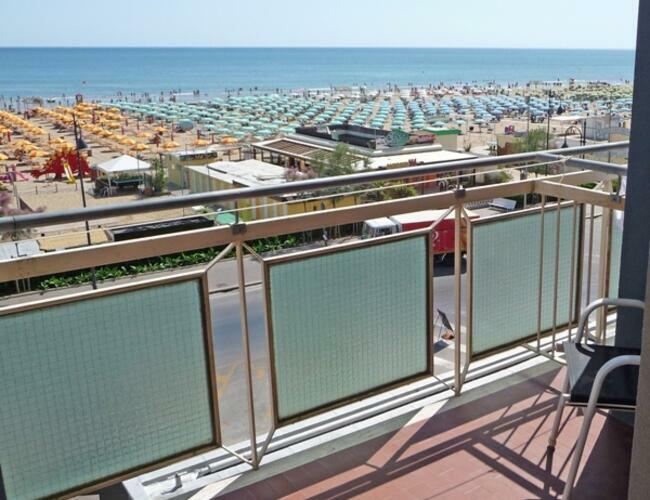 Central position, directly sea view, seaside promenade, near Rimini spa centre. 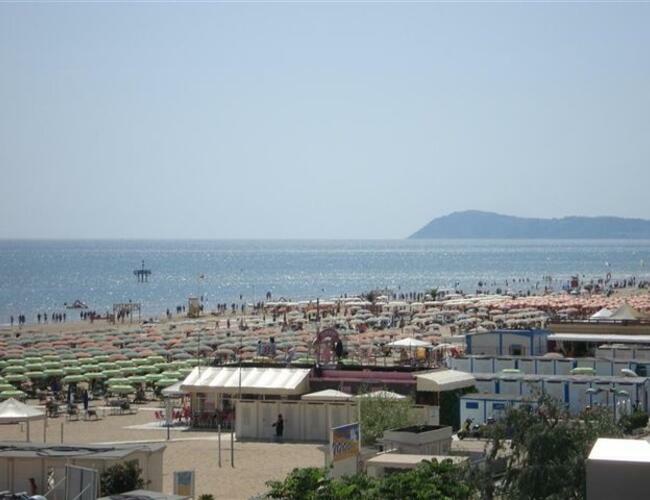 "Rimini Sud" motorway exit, in the direction of Riccione, opposite bathing establishment number 144. 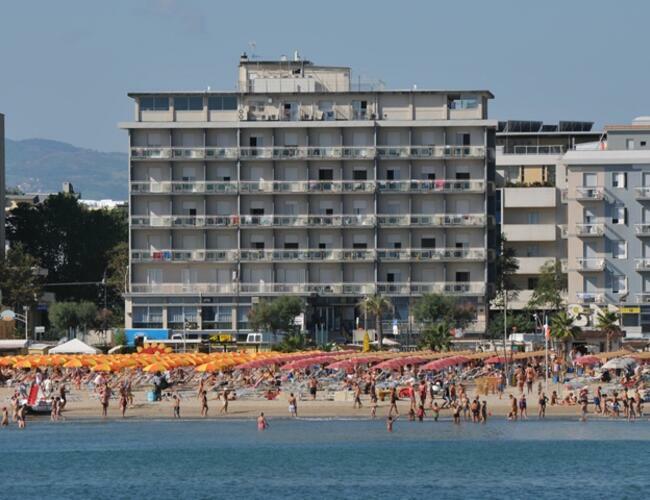 The only hotel with private subway with direct access to the beach. 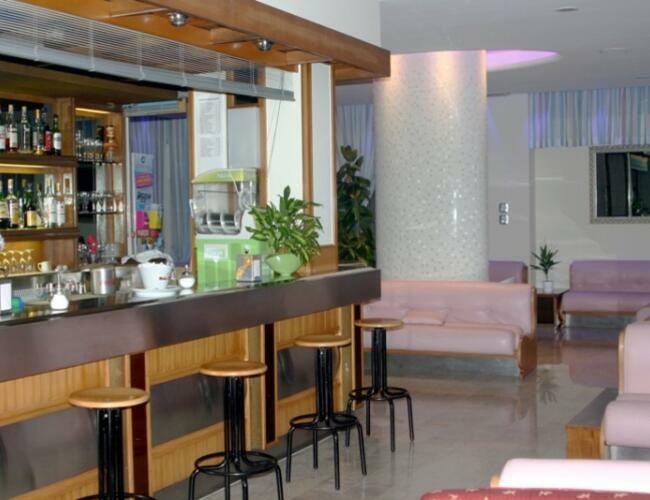 Large lounge areas, "tavernetta" with TV, cocktail bar, 2 lifts, air-conditioned restaurant, scenic breakfast room on 7th floor, large garden and children's play area, unguarded and enclosed gratis car-park, partially covered and available until full. 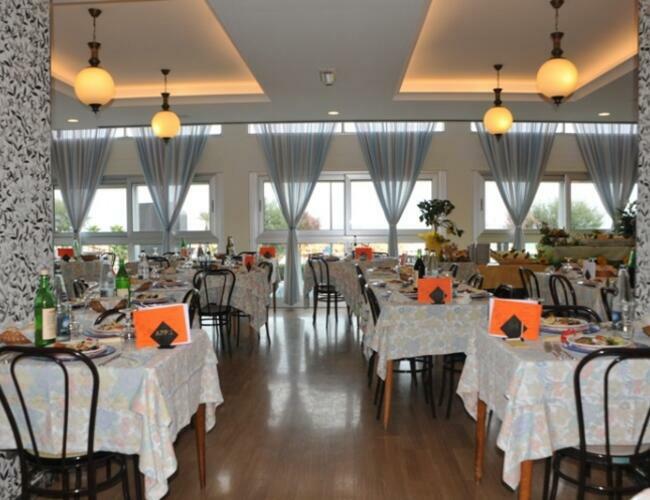 Cuisine supervised by the owners with choice of menus, with first and second courses - meat or fish - salad and vegetable buffet, buffet breakfast. Typical weekly Romagna style dinner. * Comfort room: balcony in front of the sea, bathroom renovated with shower, TV LED 32 ", safe, telephone, hairdryer, air conditioning and wifi. * Economy Plus room: balcony in the SIDE of the sea, bathroom, TV LED 32 ", safe, telephone, hairdryer, air conditioning and wifi. 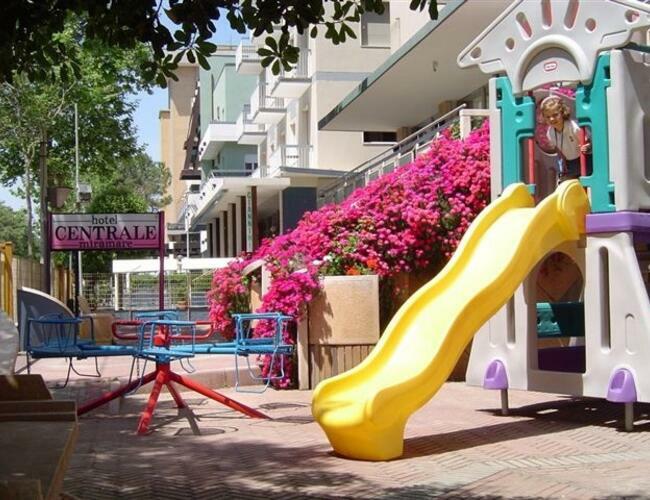 * Economy room: balcony to the AVENUE, private bathroom, safe, telephone, hairdryer, air conditioning and wifi. Open 24 hours a day. Entertainment on beach with mini club. Bicycles at the disposal of guests, admission discounts. Credit cards accepted. Week end all inclusive at 380 € per person! Hurry up and book your room! 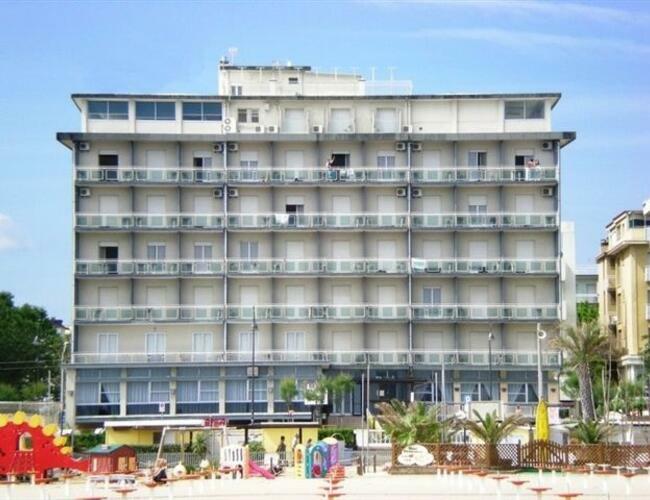 With a supplement of 20,00 €, sea side room! The world of wellness returns to Rimini for the 14th edition! Are you ready to r... elease energy? A world of wellness, sport, fitness, physical culture and healthy nutrition at the Rimini Fair for the Riminiwellness event! Book with bed and breakfast or half board to make the most of your days at the fair! 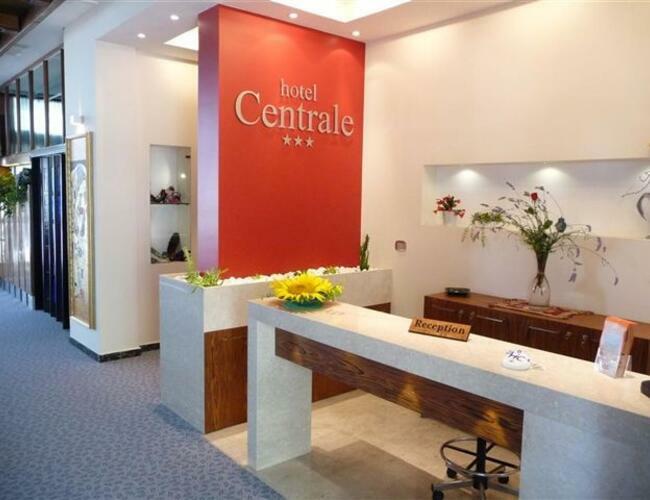 Hotel Centrale Miramare offers a whole energy and relaxation offer !! Prices are per person, per day, for a minimum of 3 days and include: full board, service, VAT (excluding any tax permit) and cabins right on the beach. For a day "Do not Stop" at the beach or hiking, is provided (no extra charge) a packed lunch. Meals not consumed will not be deducted. The room booked will be made available from 12 noon on day of arrival until 10 am on the day of departure. The day of departure is always the last statement. For early departures will be charged the cost of the room. The opening and closing dates are subject to change. Supplemento All Inclusive in camera doppia s'intende a persona.